This an opportunity for artists with experience of migration and/or a strong interest in the subject of displacement and/or identity. Internationally renowned Artist, Natasha Davis is commissioned by Live Collision to mentor 3 artists for 1 year from April 2019 – 2020. This an opportunity for artists with experience of migration and/or a strong interest in the subject of displacement and/or identity. Are you an artist or do you hope to become one in the next 5 – 10 years? Do you have a lived experience of migration or do you have a strong interest in the subject of displacement or identity? Would you like to have an international artistic mentor who could support you to develop your artistic practice and your future ambitions? Would you like to collaborate and take part in a series of workshops leading to a performance as part of Live Collision International Festival 2019? Natasha Davis has an exceptional reputation for making imaginative and poignant performance work exploring body, memory, identity and migration. 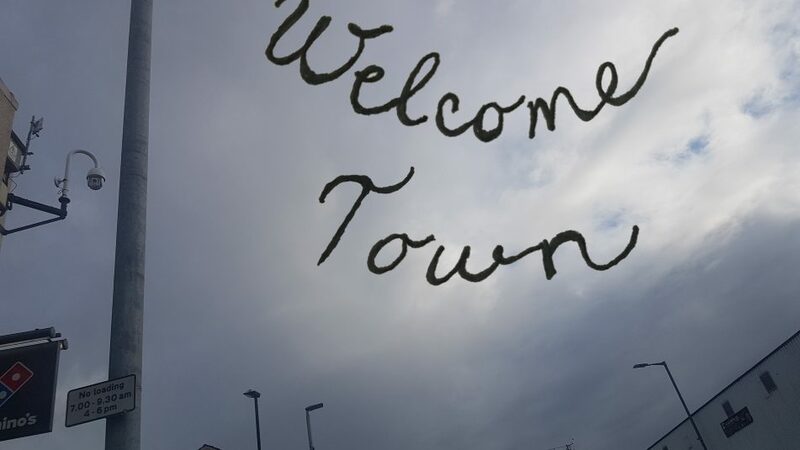 She will research and present her new work Welcome Town at Live Collision International Festival 2019. We are looking for three emerging artists who are interested in being part of this project as both a collaborator and as a professional developmental opportunity. Natasha will host a series of workshops during the week of the festival to develop a new performance/alternative walking tour that will take place on Sat 27th April as part of the festival. Natasha is seeking to find artists with lived experience of migration and/or artists with strong interest in the subject of displacement and identity. During the workshops Natasha will collaborate with participants to devise and make the alternative walking tour, it will also be the first step in the mentoring process. Through the collaboration you will learn first hand more about Natasha and her work and likewise she will learn more about you and your interests. Workshops and Performance: This is not for the faint hearted but instead people who are seeking to find a pathway for their artistic interest and aspirations. The intensive workshops to develop the performance will be held in the afternoons Tuesday 23 April – Friday 26 April and the performance/alternative walking tour will take place on Saturday 27 April. You must have availability for at least 3 of the 4 workshops and you must be available for the performance on Sat 27 April. The performance will start and finish at the Project Arts Centre, with the main body of it happening outdoors in the streets near the art centre. What is required: No previously prepared material will be necessary, just the willingness to explore and excavate the subject of identity, memory, crossing borders and displacement. 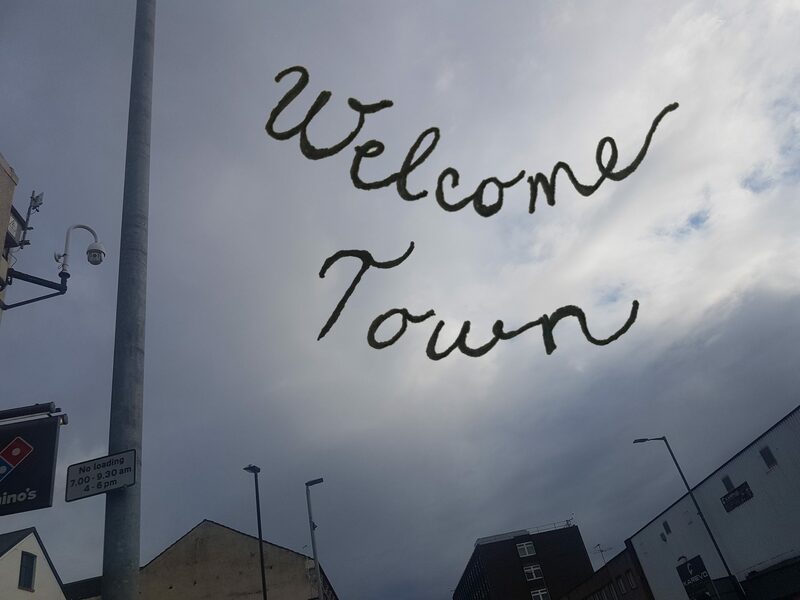 You will have the opportunity to present as part of Welcome Town at Live Collision International Festival on Saturday 27 April 2019. Expenses are covered: The workshops are free to selected artists and an honorarium of €150 for the performance day will be provided. Tickets for other presentations at Live Collision will be made available on request. What does the mentorship include: Natasha will act as a mentor for 12 months with 3 – 4 meetings over that timeframe. This will provide an opportunity for advice, guidance and professional support over this gestation. The mentorship will be led by you (in terms of questions and focus) and Natasha will provide mentorship and guidance to the best of her ability and experience. How do you become involved or find out more: If you have any questions or you’re interested in being involved please contact Matt Bratko at Live Collision at producer@livecollision.com or call +353 85 207 5985.